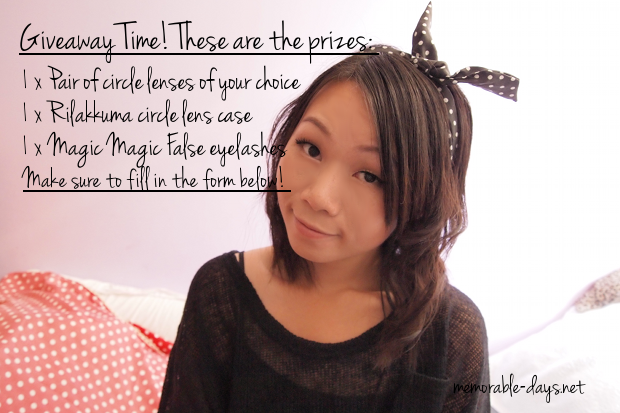 Review & Giveaway: Magic Magic False Lashes & Rilakkuma | Memorable Days : Beauty Blog - Korean Beauty, European, American Product Reviews. Beware, this is a picture heavy blogpost! Today I'm going to review a product from Eyecandylens.com. 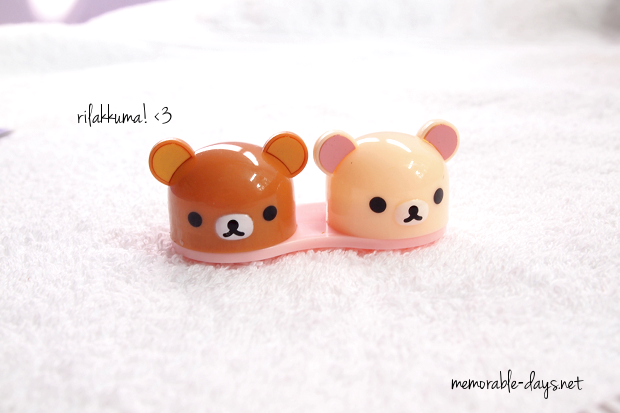 I received a Rilakkuma circle lens holder and some false eyelashes from them. 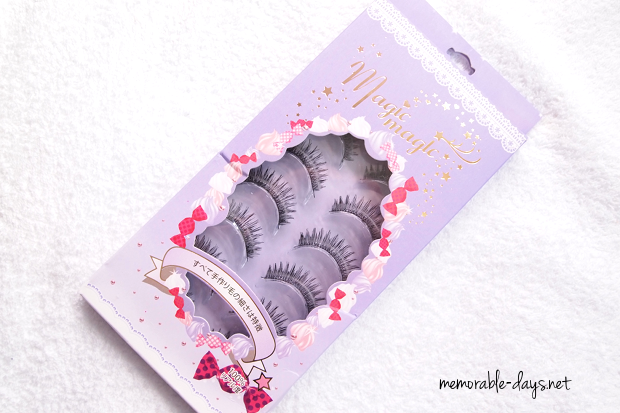 Those lashes were featured in the YES and Vivi magazine before, so I can't wait to try those out ^^! 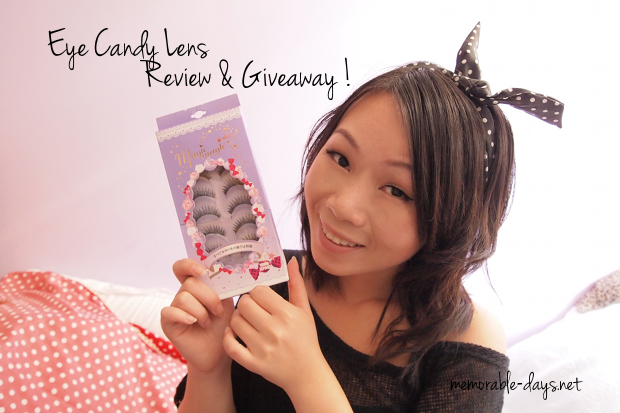 I'm also hosting a GIVEAWAY today which is sponsored by Eyecandylens.com. 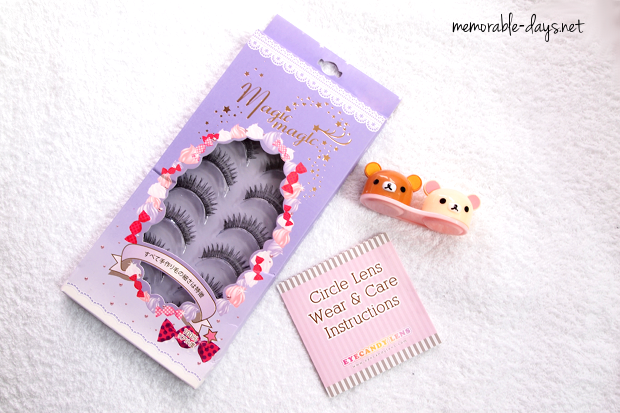 I will be giving away 3 items: you are able to win these lovely false lashes that I'm reviewing today, the adorable Rilakkuma case AND a pair of circle lenses of your choice! The giveaway is open internationally. Make sure to fill in the form at the end of this blogpost! Isn't this case freaking adorable? It cost $3.99 at the moment at eyecandylens.com (link to product). You will get a free gift when using the coupon code: MEMORABLE. There are different combinations available so go check 'm out :). 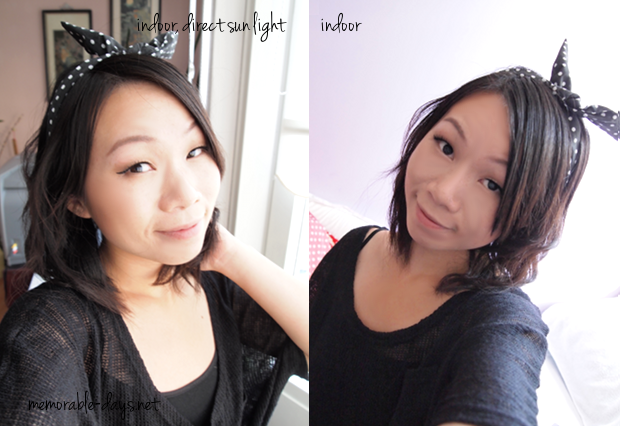 I will be giving these away in this blogpost as well ^o^! 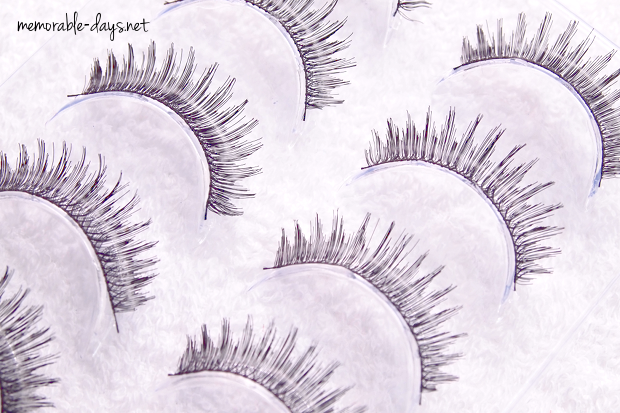 These are the C-02 Magic Magic false eyelashes of the brand Ammu (go to their website). It has an adorable purple packaging ^.^! At the back of the packaging there are instructions of how to apply the false eyelashes. These are designed in Japan and are made in China. There are 8 pairs in it and these are re-usable, just don't forget to remove the glue and clean it after every usage. These are $15.57 and can be purchased HERE. I will be giving these away in this blogpost as well ^o^, keep on reading if you want to know more about it. Me with the Magic Magic eyelashes on, looks natural right? The lashes are soft and flexible. However, these lashes have a plastic shine and therefore look unnatural when you blink. They give you a little bit of volume. 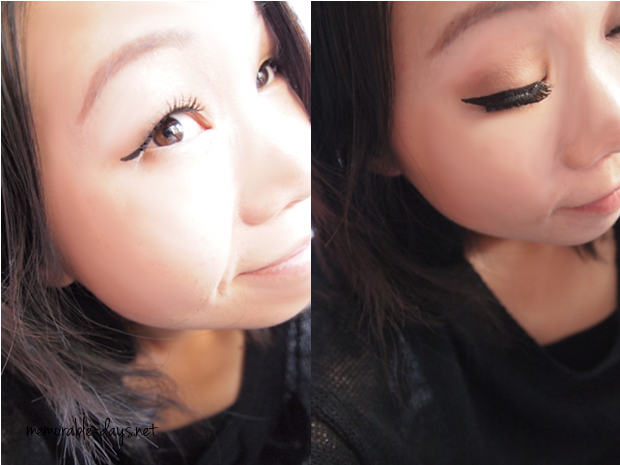 The lashes look very full when I blink, but it looks natural when I have my eyes opened. I do like the natural look though ^__^. Perfect length. Not too short and not too long. I really had to curl these lashes when I had these on, otherwise it was just hanging there if you know what i mean. It did feel comfortable on my eyes :). Love that these lashes have 8 pairs of lashes in the package. They are easy to apply and i'm loving the natural sweet dolly look. Good luck everybody! btw. 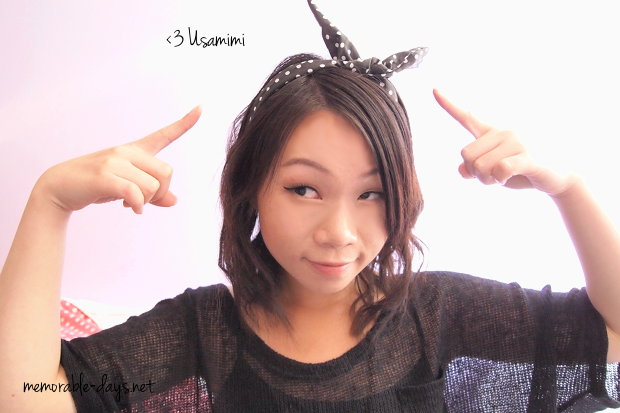 look at my cool usamimi lol.